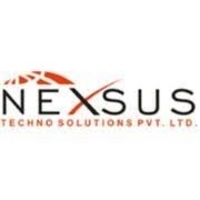 Nexsus Techno is recruiting Graduate freshers and also having one year experience candidates in the relevant field through Nexsus Techno Walkin Drive. Candidates who have done their graduation can attend directly for Nexsus Techno Walkin drive for Scanning Operator jobs. All the job aspirants should have excellent communication skills to participate in the walkin. Hence all interested and qualified job aspirants can participate in this Nexsus Techno Walkin Drive on 25th August 2018. Moreover, from the below of this article, candidates can find overall details like educational info, walkin particulars, etc. Therefore for more exciting and instant walkins bookmark our site Freshersnow. Candidates can find out the complete info of Nexsus Techno Walkin Drive from this article. All the job seekers can find out all the latest Placement Papers bu visiting our web portal. For more detailed data regarding the Nexsus Techno Walkin job seekers keep on following our website daily. All the students should have to work for the day and night shifts. Those who are interested can attend for this Nexsus Walkin Drive and get a job in it. Nexsus Techno Solutions is a CTI and Software development company focused on the application development and marketing of Computer Telephony Integration (CTI) products using proprietary strengths in latest technologies. Each of the products addresses significant needs and offer compelling benefits to large and growing industrial markets. Nexsus is a company with leading professionals whose intense experiences demonstrate a clear understanding that businesses today are faced with the challenge of harnessing the ever-changing landscape of an intricate and competitive business world. It’s imperative for companies today to stay on the cutting edge of technology to create and implement the tools necessary to compete and succeed. Nexsus Solutions has demonstrated that with a clear understanding of your business coupled with our analytical skills; a strategy can be forged elevating your company to a whole new plateau of success. To get a current update data according to the Nexsus Techno Walkin Drive, all the job aspirants can check out in our web portal Freshersnow.com. So, people who are searching for all other walkins can find out all the details on our web portal. Keep on visit our site for more latest detailed info related to the Nexsus Techno Walkin Drive.